Ten years ago, I would have laughed at the idea of getting a degree beyond a master’s and moving away from California. Growing up in the San Joaquin Valley, I never expected that studying science would lead me to many adventures and delightful experiences. I transferred to UC Davis as an animal science major with a specialization in avian sciences from West Hills College in my hometown of Lemoore. I wanted to learn more about chickens and resistance to disease. After a light chuckle, I would reply that I was interested in research. It was through conducting research at UC Davis in animal science that I discovered I wanted to be a research faculty member someday. Now I am in graduate school as a Ph.D. student in nutrition at North Carolina State University, and my research involves vitamin D, immunity and poultry. Vitamin D is a nutrient we create with help from sunlight to maintain bones, but it also can impact our immune system. 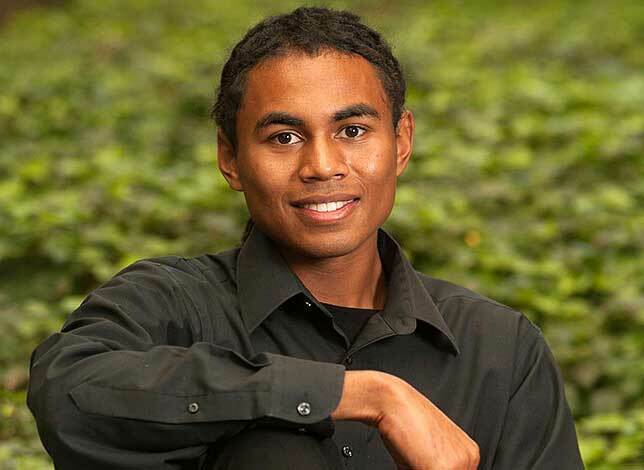 In an interview before he graduated, Matthew chats about how he knew UC Davis was the university for him, how he left a legacy for future students and who made a big impact on his life as a student. In particular, I am interested in seeing how vitamin D can affect the production of host defense peptides — or natural antibiotics — that our bodies produce. My research asks if these peptides can be used as an alternative to antibiotics we feed to chickens, and if we can apply it to animals grown for production. I enjoy doing research because I learn through experiments. By applying the resulting data to my questions, I get answers. Plus, I get to interact with animals. Before I started college, I had no idea what I wanted to do for a career. I liked running experiments in labs in high school, but I did not know what they meant because I never had any exposure to how science is applied in everyday life. However, I questioned why any of that mattered. I believe anybody has an opportunity to complete a bachelor’s degree. That simple belief helped me succeed at UC Davis and in my schooling since then. In almost all animal science classes I took, I handled animals to gather data or understand a concept. One course required me to observe an animal that recently gave birth and record its behaviors as it cared for its offspring. This experience taught me the importance of data collection and research methodology. I found that UC Davis animal science faculty members are knowledgeable, helpful and care about students’ learning. I interacted with many outside my classes and learned about life skills as well as specific science topics. I discovered that professors are people, too, and happy to help students advance in their education. 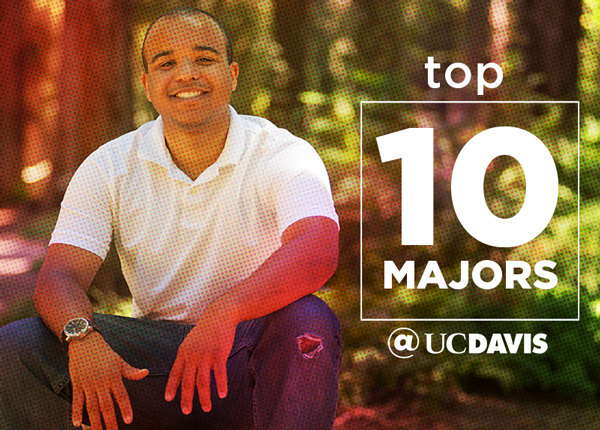 Aside from classes and research, I dedicated time to being involved with Multiculturalism in Agriculture, Natural Resources and Related Sciences at UC Davis. MANRRS is a professional society that encourages people from all fields to connect to advance agriculture and related sciences. UC Davis’ MANRRS chapter is a small, tight-knit group that can be an outlet for stress. It was through the club’s outreach, recruiting events and competitions that I learned how to network and develop my speaking skills. I recommend students to find a club that allows you to express yourself, regardless of whether the club has honor, social or professional objectives. Having a group where you can connect with friends is a key component to developing confidence to succeed at UC Davis and with a career. Being an animal science major at UC Davis is more than just pursuing a college degree; it is a chance to discover yourself as I did. I went from working with birds at UC Davis to researching rodents at Auburn University in Alabama for my master’s degree, and now back to chickens in my current position at NC State being a part of the Prestage Department of Poultry Science. By the way, I am still connected to the Aggie network: My advisor is Kimberly Livingston, a UC Davis alumna who did her doctorate under the same faculty member I did research with when I was an undergraduate at UC Davis. Animal science is not only a large major; it offers a great number of opportunities to take you wherever you want to go! If you’d like to contact me about my experiences, email mfwarren@ncsu.edu or visit my personal website to learn more about my experiences and research.